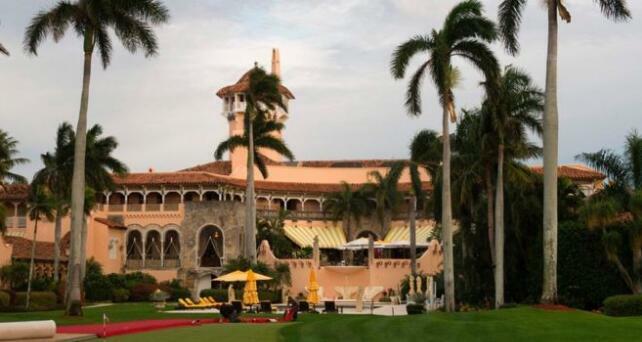 A US court has ordered that President Donald Trump release records of visitors to his Mar-a-Lago resort in southern Florida. Mr Trump has been to the property seven times this year, including when he hosted foreign leaders. But it is unclear who else he had as guests. The move is part of a legal challenge brought by a non-profit watchdog group. Meanwhile, the outgoing head of the government ethics agency says the US has been made a virtual laughing stock. Walter Shaub told the New York Times that the Trump administration has ignored long-established guidelines, and that the flouting of ethics rules at home makes it hard for the US to tackle corruption overseas. The White House has dismissed the criticism, saying that Mr Shaub was promoting himself and had failed to do his job properly. 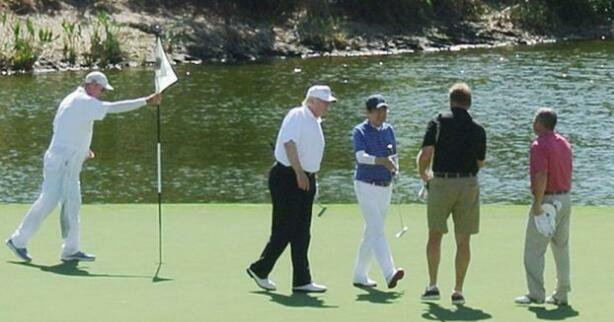 Among the visitors that Mr Trump has hosted at his resort - which he calls the "Winter White House" - are Japanese Prime Minister Shinzo Abe and Chinese President Xi Jinping. The legal case for details of the visitors was launched by Citizens for Responsibility and Ethics in Washington (Crew), the National Security Archive (NSA) and the Knight First Amendment Institute at Columbia University. The records must be released by 8 September, a US District Court for the Southern District of New York judge decided. It is not clear what information will be revealed. The groups had also filed lawsuits for visitor records at the White House and Trump Tower in New York, a statement said. The Department of Homeland Security, which oversees the Secret Service, said it had no records of visitors at Trump Tower, while the lawsuit was still ongoing for the White House. "The public deserves to know who is coming to meet with the president and his staff," Crew Executive Director Noah Bookbinder said. "We are glad that as a result of this case, this information will become public for meetings at his personal residences - but it needs to be public for meetings at the White House as well." The Trump administration has not revealed the names of White House visitors. The Obama government started disclosing its visitor records in 2009, after a lawsuit brought by Crew.